Router module allows you to branch your flow into several routes and process the data within each route differently. Once a Router receives a bundle, it forwards it to each connected route in the order the routes were attached to the Router. Routes are executed sequentially (not in parallel): a bundle is not sent to the next route until it has been completely processed by the previous route. HINT: To verify the order, you can click the Auto-align icon, which will arrange the routes according to the order from top to bottom. HINT: To change the order, just remove the Router module and re-connect the routes in the desired order. To filter bundles that will pass through to a specific route, define a filter. For more information on how to use filters, please refer to the help section on Filtering. Click on the right handle of the module where the Router shall be inserted and from the list of options that appear, choose "Router". 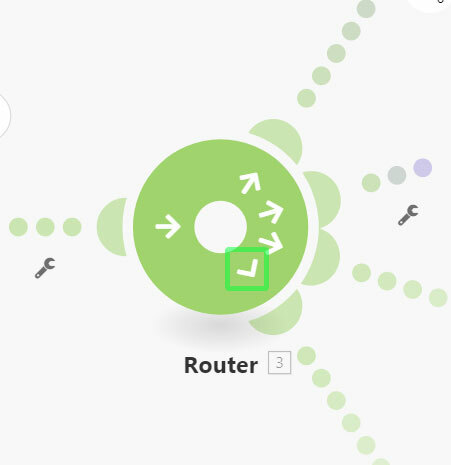 Click the wrench icon below a line connecting the modules in which you want to add a Router to and from the panel that appears, select "Add a router". Click the left handle of a separate module and drag it towards a module, which on both sides is connected to other modules. This will insert a Router right after the connected module and connect the separate module to the scenario. Instagram can return both images and videos. 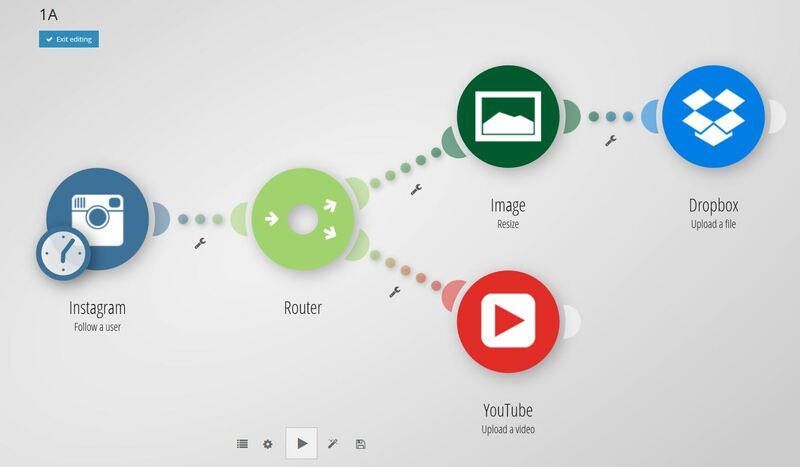 Adding a Router will allow you to divide the scenario and add a new route so that each type of bundle can be processed separately, at the same time.